Ricoh has introduced its new laser light source projectors for presentations in conference rooms, lecture halls, auditoriums, and houses of worship. The Ricoh PJ L6280 series was designed to keep up with the diverse needs of sharing information in modern work environments, including enterprises, small, and mid-sized businesses and education organizations. 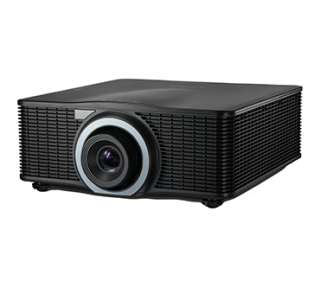 The Ricoh PJ WXL6280 and PJ WUL6280 projectors combine the advantages of laser illumination with Texas Instruments' Digital Light Processing (DLP) projection technology. The lamp free design allows for more than 20,000 hours of use, helping to ensure projection quality and reliability. The projector also features an HDBaseT interface, which can carry video, audio and control signals up to 100 meters over a LAN connection. With five different lenses that enable short throw and long zoom, combined with the ability to install at any angle or project from a diagonal position, it allows users to accommodate unique spaces and situations, such as projecting onto a ceiling, floor, or angled wall. The manufacturer’s suggested retail price is $9,875 for the Ricoh PJ WXL6280 and $11,875 for the Ricoh PJ WUL6280 laser projectors.